Arrive Leh, the region of mountain passes, a piece of broken moon land- a perfect place to witness the unmatched beauty of nature. You will be met upon arrival and transfer to your hotel, rest of the day is at leisure to relax and get acclimatize. After breakfast visit Hemis Monestery believed to be the wealthiest and biggest monastery in Leh, Thikshey Monestery, Druk Padma Lotus School (Rancho School). Lunch at Thikshey. Proceed to Leh Palace. Drop at market. Evening is on own for shopping and leisurely walk around the town. Walk back to hotel for dinner and overnight stay. Day 3: Leh - Lamayuru-Uleytoko. In the morning drive down the Indus valley on a tour of the Lamayuru (approx. 130 kms.) 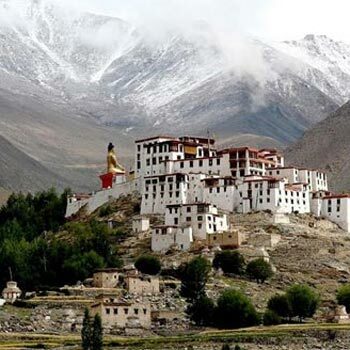 circuit, famous for the dramatically located ancient Lamayuru monastery and the adjoining ‘Moonland’ features. 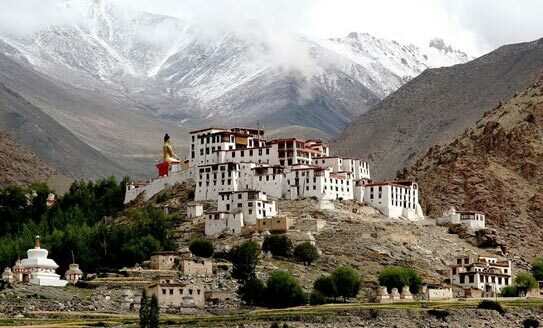 After sightseeing and lunch here, retrace the Leh route till Uleytokpo (60 kms.) and check-in at a fixed camp / resort for dinner and overnight stay. After breakfast drive towards Leh, enroute visiting the 11th century Alchi Choskor, oldest surviving monastic heritage of Ladakh- a UNESCO listed heritage site. Thereafter, visit Sangam (confluence of Indus & Zanskar Rivers), Magnetic Point, Gurudwara Pathar Sahib, Kali Mata (Temple of Guardians in Spituk monastery) & Hall of Fame. Arrive hotel in Leh for dinner and overnight . After Breakfast you will drive to Nubra Valley Known as Ldumra (the valley of flowers) is situated in the north of Leh. 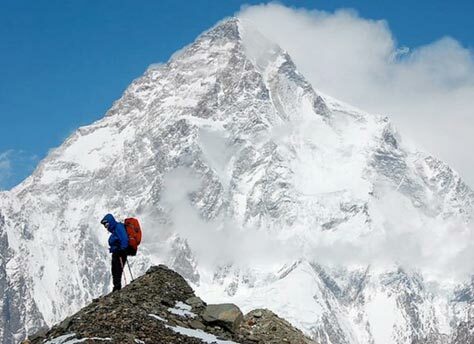 The average altitude of the valley is about 10,000 ft. above the sea level. driving through the Khardungla Pass (Highest Motorable road in the World at an altitude of 18,380 ft). Arrive at Deskit by afternoon and check into your cam p/hotel. Rest of the day is at leisure to explore Deskit / Hunder Villages and camel Safari in Sand Dunes between Deskit and Hunder Village. After Breakfast visit 32 metre statue of Maitreya Buddha near Diskit Monastery facing down the Shyok River towards Pakistan and Deskit Monastery, founded by Lama Shesrab Zangpo of Stod around 1420 AD during the reign of king Dragspa. Approximately 100 monks reside here. 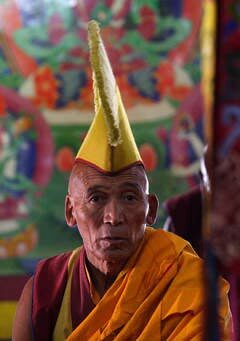 This monastery is a branch of Thiksey Monastery. Later you will drive back to Leh. Arrive and check into your hotel, rest of the day is at leisure. Overnight at the Hotel. After Breakfast you will drive to Pangong Lake at an altitude of 14,500 ft, Pongong Lake is one of the largest and most beautiful natural lakes in the country. The lake is bisected by the international border between India and China as two third part falls in Tibet (China) you will drive through Changla Pass 17,350 ft. (third Highest Motorable road in the world.) arrive and check into your camp. 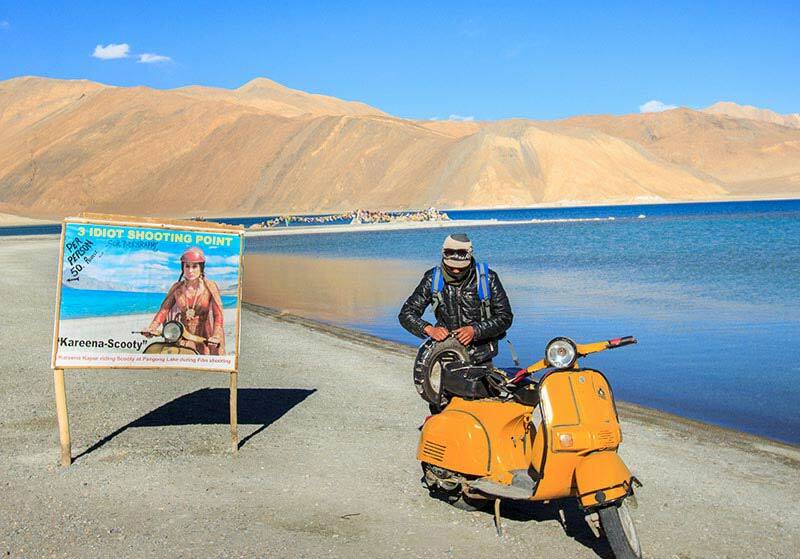 Rest of the day is at leisure to explore scenic locals of Pangong lake. Overnight at Camp. After Breakfast you will drive back to Leh. 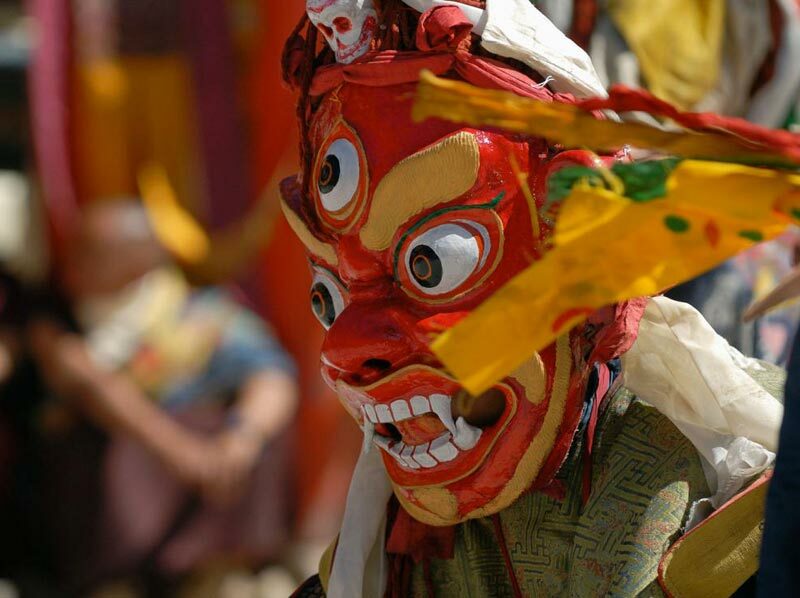 Arrive Leh and check into your hotel, rest of the day is at leisure for shopping and individual activities. Overnight Hotel. After breakfast drive to Tsomoriri lake(alt: 15,000 ft.).Tso Moriri lake in Changthang region of Ladakh is one of the most beautiful, calm and sacred (for ladakhis) high altitude lakes in India. This beautiful blue pallet lake is about 7 KM wide at its broadest point and about 19 KM long. The beautiful multi shades of blue color offered by this lake along with a picturesque landscape around gives this place an extremely romantic feel and breathtaking feel. Lunch will be at chumathang, Chumathang Hot Water Spring and nomads Tents are en route to Tso Moriri Lake. overnight at hotel/camp. After breakfast retrace the route down to Puga Sumdo and then follow the road across the Polokongka Pass (4920 mtrs) to visit Tsokar Lake, a salt lake system in the Rupsho plateau which is home of the Changa nomads and support many rare wild life species. 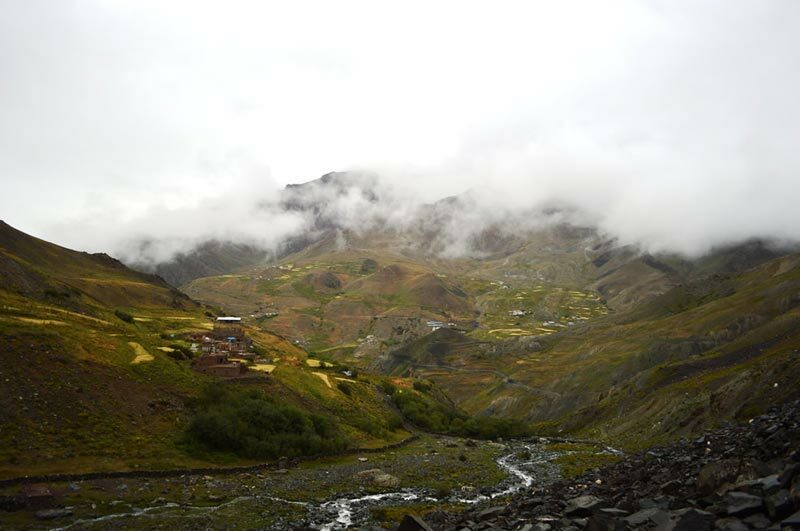 After sightseeing of the area take the Manali-Leh road to return to Leh, crossing Taglang-la (alt: 17,585ft) en- route. Arrive hotel in Leh for dinner and overnight. Early morning you will be transferred airport to board your onward flight back home.